Complete profile of instrumentation, analysis tools and engineering resources to take up most of Noise and Vibration activities across process, manufacturing, automotive, R&D, Civil Structural and other verticals. Product Noise performance, Noise design, source localisation all require good quality real time octave analysis ,Using high quality sets of microphones and other supporting instrumentation, Sound Pressure, Power and Intensity quantities are derived. Bearing and rotating equipment health, assessed correctly and periodically using vibration analysis tools is one of the most proven methods to predict the bearing life. Bridges to High Rise buildings, Machine foundations to Metro Rail RCC structures, we analyse to check the operational behaviour, critical frequencies, qualify them as per DIN 4150 and IS4866:2010. Experience the Science of Noise and Vibration, its scope and extent to refine the product and process, work on the intricacies of how Noise and Vibration work as the two gossamers of same problem; design your thoughts that give shapes to a quieter & better engineered product, think of NV Dynamics. For us, the engineering consulting activity is a wholesome involvement to compliment the seriousness of customer problem with our NVH domain knowledge, best of practices and commitment to deliver the solutions. From qualified Human resources to spectrum of NVH instrumentation & Transducers, from software tools for various solutions to qualified processes for data processing and analysis, we have the right profile of resources. New queries on 3 international assignments are in the pipeline; NV Dynamics has been shortlisted as the NVH partner for Hanoi Light Rail project, Vietnam. 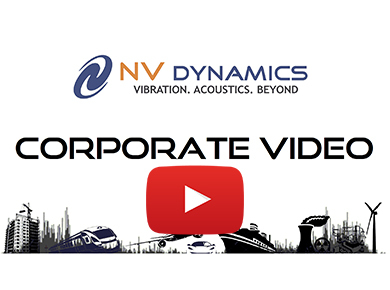 The activity is to start in the month of December 2018 and NV Dynamics is involved in multiple stages of Noise and Vibration assessments. The other upcoming international assignments are in Kuwait and Algeria for conducting process industry vibration studies. With the renewed targets for the current fiscal, our increased reach to customer and and spereading our activity profile through social media and other means have been doubled up; our present circulation of newletter has now crossed to over 3000 customers and with an average addition of about 50 new email posts every month. Linkedin, Facebook and Instagram updates are also helping a lot of new leads and connections being made. The laboratory resources have been further augmented with the addition of 10 units of Type 1 1/2 inch microphones and 6 Low G accelerometers, with this, we have added a good number of sensors and instrumentation in the past 6 months in line with our multiple tasks and assignments.